The information and advice below will assist you with planning and preparation for medical school. Our goal is to select the most capable students to attend our school by using AAMC Holistic Review Project E-A-M Model of evaluating Experiences, Attributes and Metrics to determine how the applicant might contribute to VCU School of Medicine learning environment as well as to the medical profession as a future physician. VCU SOM committee members uses a holistic approach to evaluate an array of applicant attributes, including academic excellence, personal characteristics, leadership, service to others, contribution to diversity (gender, race, ethnicity, sexual orientation, socio-economic background, geographic origin) and extracurricular activities. Below are the requirements an applicant must meet in order to be accepted at the VCU School of Medicine. All applications should be made through the American Medical College Application Services (AMCAS). Applications must be submitted to AMCAS no later than 11:59 pm EST on December 1. Early Decision Program (EDP): Applications must be submitted to AMCAS no later than 11:59 pm EST on August 1. Acceptance offers must be sent by October 1. The Medical College Admissions Test (MCAT) is required for admission. Applicants are required to take the MCAT within three years of their application. CASPer - All applicants to Virginia Commonwealth University School of Medicine are required to complete the American Professional Health Sciences (CSP10101) CASPer test in order to be eligible for admission to the program. Please note there are limited test date options available. You can find them at takecasper.com. Virginia Commonwealth University School of Medicine participates in the American College Application Services (AMCAS). All application materials may be obtained through AMCAS. We strongly encourage students to meet with their premedical advisor as they prepare to apply to medical school. Premedical advisors are familiar with the admissions requirements of most medical schools. The minimum acceptable GPA is 3.3. The average GPA is approximately 3.7 in science, non-science, and overall. All grades received for college credit are included in the AMCAS GPA calculation. If a course is repeated, both grades received for that course are calculated into the GPA. It is best to take the MCAT when you are most prepared. All applicants are required to take the Medical College Admission Test (MCAT). Submit your existing MCAT scores with your AMCAS application. Our committee has elected to apply the highest attempt. Scores are good for 3 years including the current application year. If the MCAT was taken in 2015 then the 2018 application cycle would be the latest we would accept the scores. The minimum required on the new MCAT is 503. The average MCAT 508. Applicants can register for the MCAT by visiting www.aamc.org. If there is any change to your MCAT intent (changing your "Addl MCAT Intent Date" to a future date or removing it), you must recertify and resubmit your AMCAS application in order for this change to become an official update. Simply saving the change and exiting the application is not enough. If you are taking the MCAT after you submit your AMCAS application, your application will possibly be held for further decision until your MCAT scores are received. To avoid any delay in reviewing your application once your scores are received, we suggest that you go ahead and pay your Supplemental Application Fee and submit your Supplemental Application. If you indicated on your AMCAS application that you were going to take an MCAT exam on a particular date but do not take it, notify our office by email so that we can go ahead and review your application. If you indicated that you were not going to retake the MCAT exam on your AMCAS application but changed your mind and will take the exam again, in or before September, you must notify our office by email so that we will hold your application for review for an interview decision until we receive those scores. It is recommended and customary that a baccalaureate degree from an accredited institution be completed prior to enrollment. Students must demonstrate that they have acquired a broad education that extends beyond the basic sciences to include the social sciences, history, arts, and languages. Broad academic training provides prospective physicians with the strong scientific skills necessary to continue study in medical science as well as a comprehensive understanding of social, historical and cultural forces that affect their professional lives and the lives of their patients. English or writing intensive courses: six credits of writing intensive courses. Other courses may be substituted upon request, please contact the admissions office. Biological science: eight semester hours, including laboratory. This may be satisfied by general biology, general zoology, or botany. General or introductory chemistry: eight semester hours, including laboratory. Organic chemistry: eight semester hours, including laboratory. General or introductory physics: eight semester hours, including laboratory experience. Upper level biological science courses. Such as biochemistry, cell biology, anatomy, embryology, genetics, microbiology, molecular biology, immunology or neuroscience. Students are encouraged to pursue their own intellectual interests in college in order to obtain a broad education consistent with their major program. Courses in medically related science areas will not relieve the student of his/her responsibility for these subjects in the medical curriculum. Science GPA is highly regarded by the Admissions Committee. We accept AP and CLEP credit to meet premedical course requirements, if documented on an official transcript. Please note that lab credit will still be required. Applicants may meet lab credit with the lab sections of advanced science courses or practical experience, such as documented relevant experience in a research lab. Physicians serve people from a variety of economic and educational backgrounds as well as a variety of cultural and ethnic backgrounds. Become more culturally competent while offering your time and talents to others. Community/Volunteer service is defined as involvement in a service activity without constraint or guarantee of reward or compensation. The medical profession is strongly oriented to service in the community. Applicants should demonstrate a commitment to the community by involving themselves in service and volunteer activities. Work performed in service learning courses and community service performed as part of employment does not satisfy this requirement. Volunteer for service organizations and become an active participant. Consider the American Red Cross, your local Chamber of Commerce, Habitat for Humanity, community recreational facilities, faith-based organizations, homeless shelters, food banks, domestic assault centers, public schools, etc. Contact the Resource Center for Persons with Disabilities (or equivalent) at your college. Contact the community organizers of Special Olympics or Big Brothers/Big Sisters. Volunteer at a summer camp for disabled or chronically ill children. Consider Peace Corps or AmeriCorps service. Your goal to become a physician must be based upon experience. 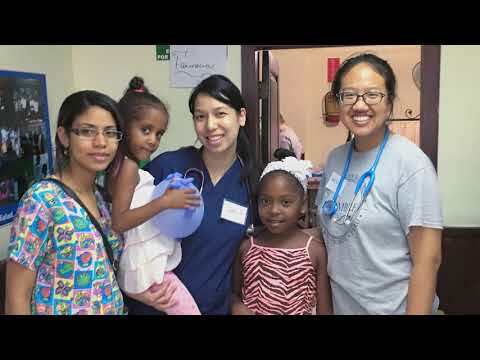 Long term, in-depth medical/clinical work and/or volunteer experiences will help you understand yourself and the medical profession while serving others. Seek out medical, clinical, and shadowing opportunities, whether paid and volunteer, within your community and your college or university. Patient exposure is defined as direct interaction with patients and hands-on involvement in the care of conscious people in a health care-related environment, attending to their health maintenance, progression, or end of life needs. It is important that the applicant be comfortable working with and around people who are ill, sick, injured, or diseased. Direct patient exposure can be gained in a variety of ways e.g. volunteering or working in hospitals, emergency rooms, clinics or nursing care facilities, hospice, or physical rehabilitation centers. Patient contact does not include indirect patient care such as housekeeping (cleaning, operating, or patient rooms) staffing the hospital information desk, or working in a pharmacy. Train and serve as a hospice volunteer (see the Yellow Pages). Contact volunteer coordinators at your local American Red Cross, hospitals, geriatric centers, or clinics. Secure a position providing home health care services. Work as a Certified Nurse’s Assistant (CNA), an EMT, or at a camp for disabled or chronically ill children. Secure a physician mentor. Contact your own physician or physicians who practice in the medical career areas that most interest you. Keep a journal detailing the insights you have gained from your medical/clinical experiences. This can assist you when writing personal statements and secondary essays. *Note: Physician shadowing and caring for friends and family members cannot be used to meet this requirement. Below is the process an applicant must complete in order to be accepted at the VCU School of Medicine. Virginia Commonwealth University School of Medicine participates with the American Medical College Application Service (AMCAS). To submit an application, visit AMCAS at www.aamc.org/students/amcas. The AMCAS application cycle is from June through December. VCU SOM will not review incomplete or unverified AMCAS applications. VCU SOM accepts Early Decision and regular MD applications. All applicants are required to submit valid Medical College Admission Test (MCAT) scores. Applicants can register for the MCAT by visiting AMCAS website at www.aamc.org. Select applicants will be invited to submit a supplemental application based on completed and verified AMCAS applications (including transcripts, MCAT score and letters of recommendation). The minimum required on the new MCAT is 503. The average MCAT is 508. All applicants aren’t granted a supplemental application. VCU SOM will complete a holistic review of your completed application materials to determine whether to invite you for an interview. An applicant’s match to the VCU SOM mission is critical, and metrics alone do not show how well a candidate’s application will resonate with VCU SOM. It is very common to hold applications for an interview decision, for comparison to the larger applicant pool that evolves over the year. This may significantly delay a decision to extend an invitation to interview or reject the application. If your application is on hold for an interview decision, our admissions process is structured so that seats remain available for those applicants who interview later in the year. All decisions made by the Review Committee are final. Your patience is appreciated as we give individual consideration to all applications during this time. Early Decision applicants will be notified of the admissions decision by October 1. The first Regular MD acceptance notices will be released on October 16, 2016 in accordance with AAMC traffic rules. Offer dates are October 16, December 16, February 16 and March 16. Admitted students are asked to accept the offer within two weeks of acceptance. The matriculation deposit of $100 will go towards your tuition. If you decide to withdraw you will be entitled to a full refund if your withdrawal is received before or on April 30. Applicants should apply and complete application requirements early to guarantee consideration for admission. Admitted students are asked to accept the offer within two weeks of admission. A $100 matriculation fee will be required to hold your slot (refundable until April 30). Please visit the pages within our website to learn more about us and the application process. We also recommend you visit the AAMC’s Considering a Career in Medicine site to help you while preparing to apply to medical school. Why VCU School of Medicine?